the crunch of eggshell against teeth. There was an osprey nest on the far side of the pond, one of the few active nests on LI in the ’60s. Dad and I would sit on the flat shed roof and watch the pairs’ thrilling dives for fish, taking them back to the huge ragged nest. 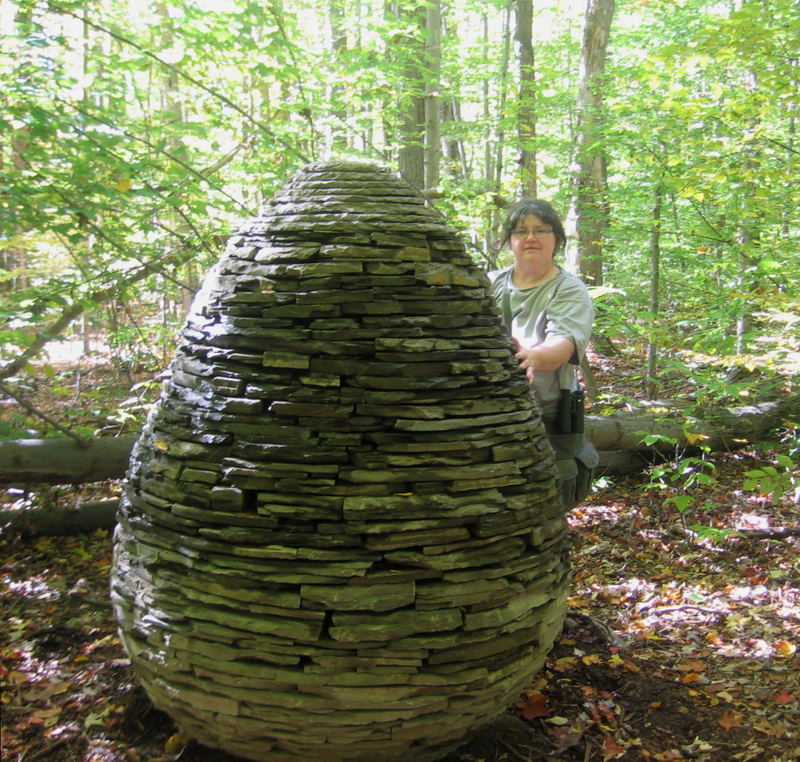 Were there any nestlings? I don’t remember. This was only a few years after Silent Spring, and DDT wouldn’t be banned for another decade. The damage had been done. In 1966, only four chicks were hatched from 60 nests on Gardiner’s Island just across the bay, which 30 years before had boasted over 200 active nests. So where do ospreys go for the winter? 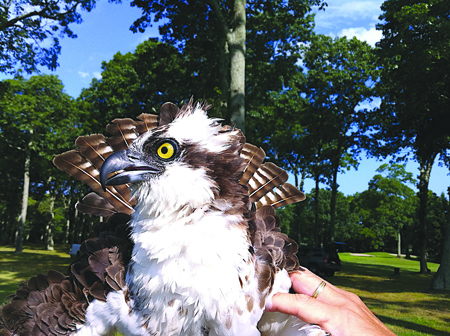 This researcher is tracking an osprey named Bob. *from I See By My Outfit by Peter Beagle, which you should read right away. 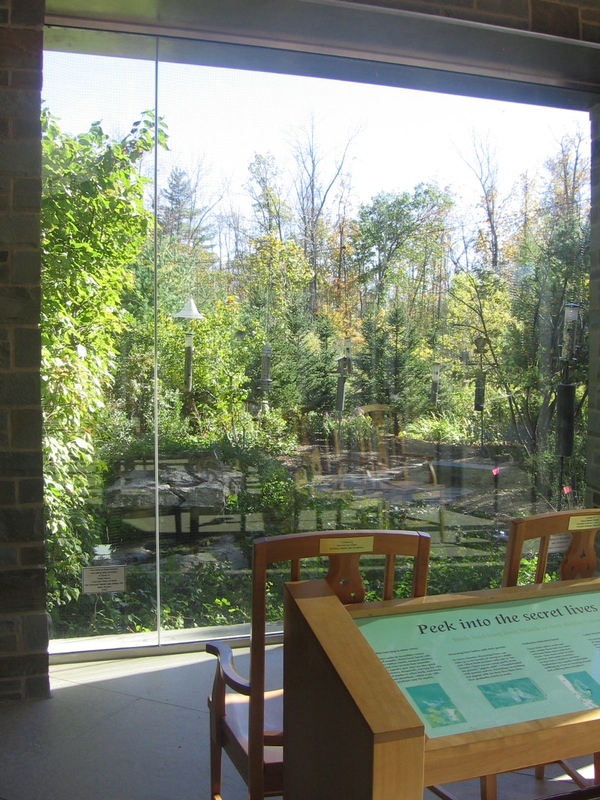 We went up to Cornell to pick Will up for the weekend and finally managed to time it so we could visit Sapsucker Woods and the Cornell lab of Ornithology. Wouldn’t you like to work here? I told Will he should visit when he needs a serene place to study. Bill, basking in the sunlight and contemplating moving in. 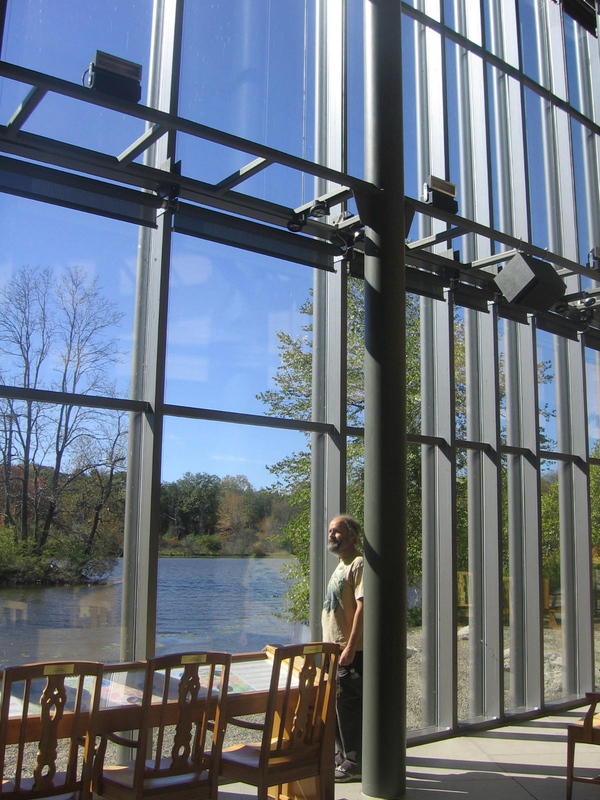 This wall is 30′ long and 2 stories high, looking out on a pond, and the other window overlooks several bird feeders and wildlife plantings. We rambled around the grounds and trails for a few hours. I felt kind of disloyal birding Sapsucker Woods with the National Geo. guide instead of Peterson’s. Not a whole lot of bird activity, but the paths led to a few surprises. 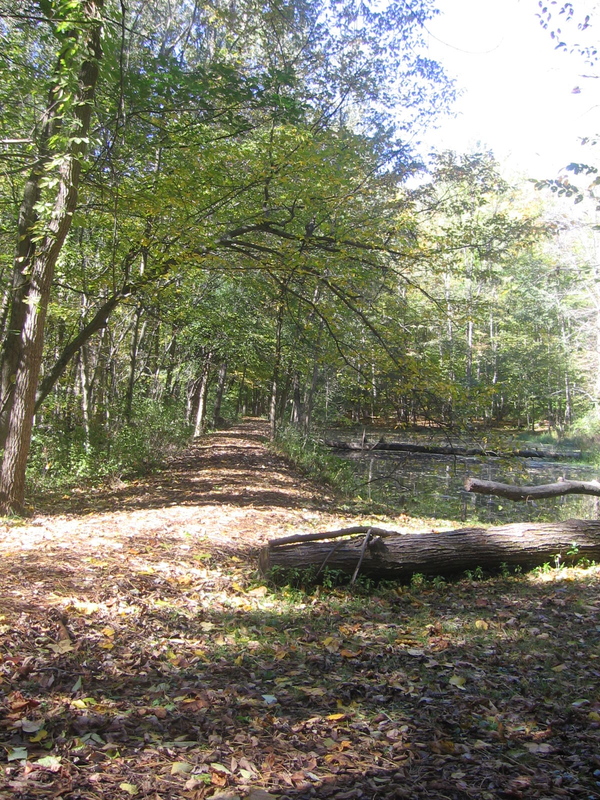 I loved this peaceful vista over a little pond, the path covered in fallen leaves. 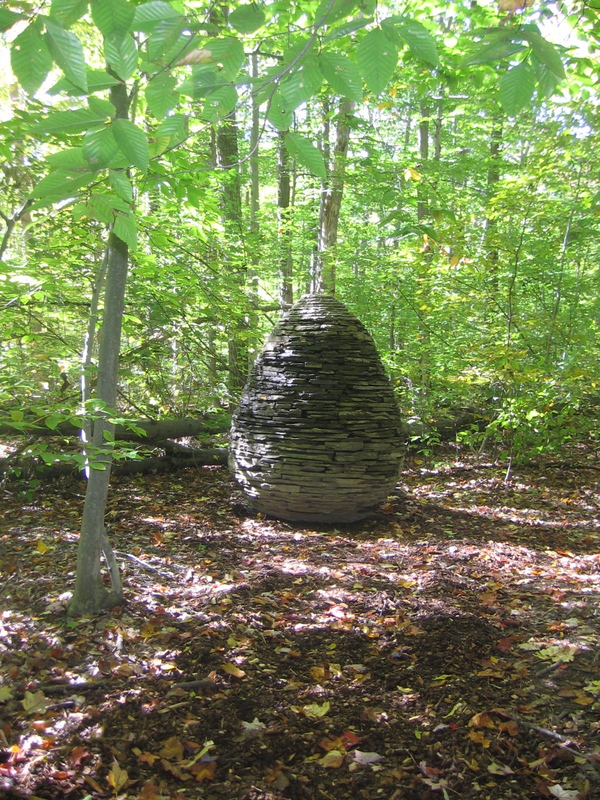 As we wandered, I saw this huge stone egg and said, “That looks like an Andy Goldsworthy sculpture,” … and I was right! It was so amazing to come across a piece by my favorite artist, and even more wonderful for it to have come as a complete surprise to me. What? Chickens are birds too. Wow! 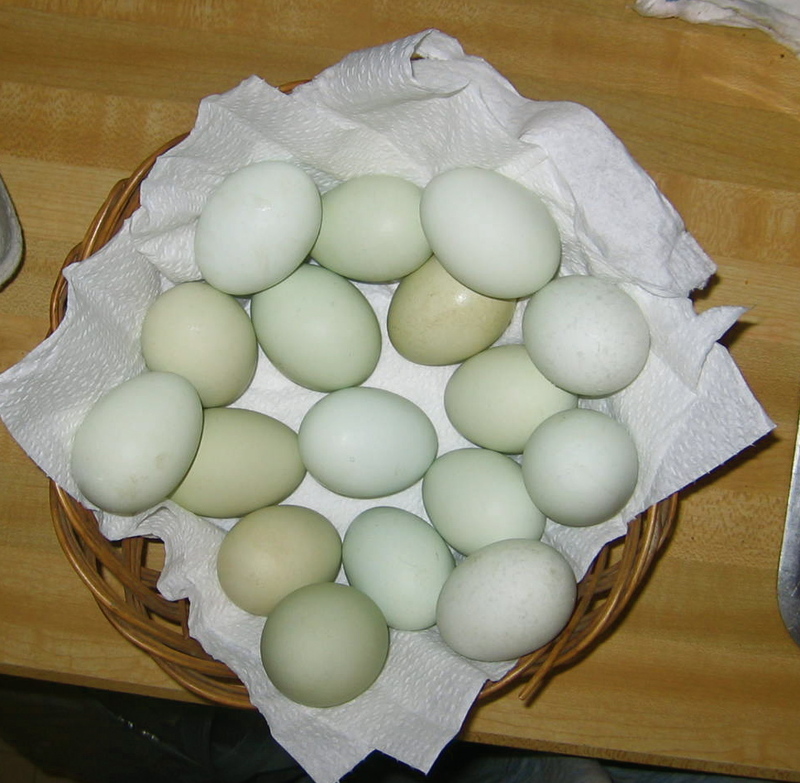 Martha Stewart designer eggs! I think I’ll try them tomorrow. Maybe with a pork product.